Imagine living in a world where plants were equally as intelligent as humans are and had the capacity to feel pain, and even inflict it. Imagine living in a world where plants could KILL! For hundreds of years botanists and plant enthusiasts alike have suspected that plants are much more complex than most of us would like to think. Plants have been observed responding differently to a range of styles of music and have even been observed to actually dance to music. But the most striking observation is that plants seem to have the capacity to adjust to adversity and adapt very quickly. Is it possible that plants have the capacity to comprehend, the ability to appreciate, and the same primeval desire as humans to survive at any cost? 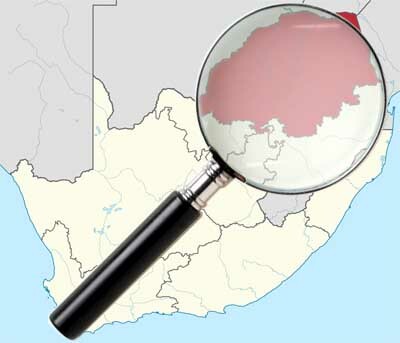 An incident that occurred in the 1980’s in Limpopo Savannah, Northern South Africa may shed some light on the curious nature of plants, their fierce intelligence, their capacity to comprehend and even tell friend from foe. More alarmingly however, it appears that they almost have the ability to kill at will, when threatened. During a prolonged and ruthless drought, watering holes had dried up, and food for the Kudu, (a large African herbivore, much prized by hunters for it’s agility, size, and beauty), had long since withered away under the harsh African sun. The only source of nutrition for the Kudu was the hardy and abundant native Acacia tree. With the Acacia’s abundant foliage and the Kudus’ ability to navigate the thorny branches, the Kadu had plenty to eat. It appeared that disaster for the Kudu, and the ranchers that relied on it for their livelihood was averted. This relief was short-lived. Without warning, outwardly healthy looking Kudu started dropping dead. Initially it was in the dozens, then the hundreds, but in a short time, thousands of Kudu were dead. There seemed to be no apparent reason for this. The ranchers were puzzled and alarmed to say the least and since the dead animals seemed otherwise healthy, they didn’t have much to go on. 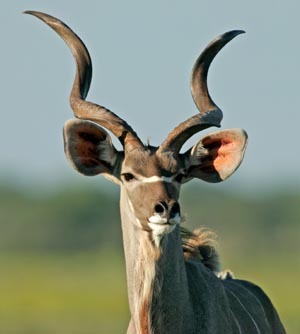 Since most properties were fenced, investigations revealed that the greater the Kudu density or population on any ranch, the higher the mortality rate. Ranches that had small populations of Kudu suffered little or no mortality. Enlisting the help of the famed Biologist and African herbivore expert, Professor Woutor Van Hoven, the Ranchers were determined to find out what was killing their Kudu. Prof. Van Hoven arrived with a team of students and a mobile laboratory hoping to find out exactly what was causing the deaths of so many seemingly healthy animals. Without any outwardly visible injuries or signs of parasitic infection, Prof. Van Hoven decided to dissect and inspect the stomach contents of the dead beasts (Kudu like cows are ruminants). The professor was alarmed to find that the digestive system in the animals seemed to have completely shut down. Upon testing the rumen of the beasts he soon found out why: Tannin – lethal amounts! Since Tannin is a natural organic compound found only in plants, it did not take the Professor long to nail the Acacia tree as the culprit. There was a problem, however - the Acacia tree didn’t normally produce such high concentrations of Tannin in its leaves, in this case the concentrations were up to 400% greater than usual. At this level the Tannin had an overall negative effect on the fermentation in the rumen of the animal, causing the beast to starve to death. Determined to find the cause, the team, under the direction of Prof. Van Hoven, tested Tannin levels in the leaves of the Acacia trees, going so far as placing bags over the branches and collecting air samples. Results of tests indicated thar when under duress from predation, drought or worse still - a combination of both, it appeared that the Acacia tree would do whatever it took to preserve its life absorbing foliage and precious seeds. As it cannot physically escape predation, the plant’s only defense is a range of chemical defenses. It appears that the Acacia tree has the capacity to adjust Tannin levels at whim, capable of doubling its Tannin levels in less than 15 minutes. The ensuing bitterness of the foliage is the first warning for the foraging beast to move along. If this warning is ignored then the tree has the means to raise Tannin levels again, but this time to lethal levels in less than an hour. Plants – Could they be intelligent, sociable, discriminatory and ruthless? Incredibly, when under predatory attack the Acacia tree not only raises it’s own Tannin levels but releases a chemical signal alerting thr surrounding trees of the presence of the foraging Kudu, resulting in nearby trees raising their own tannin levels at the same time. This raises the question whether plants have an innate intelligence that is governed by the natural order of things, or is it possible that plants are a sociable organism that have a greater level of intelligence, an intelligence that gives them the capacity to comprehend, to collaborate, and to do whatever it takes to protect the continued survival of their species? Surprisingly the Elephant, which for obvious reasons is capable of consuming more Acacia leaves than a herd of Kudu does not trigger the same chemical defenses in the Acacia tree. There may be a good reason for this. The Elephant as a “hindgut” fermenter is also a keystone species in the savannah. Its “inefficient” digestive system (Elephants digest only 40% of their food) ensures that seeds are not only deposited far and wide, but also optimized for germination suspended in a pile of nutritious dung waiting for the right time to continue the never-ending cycle of the Acacia tree.